MacHEADS The Movie – with Andy Ihnatko? 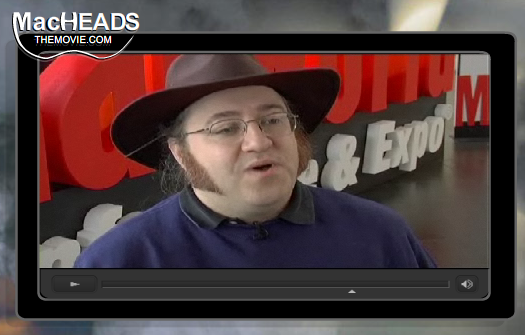 MacBreak Weekly host Andy Ihnatko (or look-alike?) was caught in the trailer of the soon to be released MacHEADS movie.Ã?â? ?Ã?Â If you really crank the volume, you can hear a faint “tweet”.Ã?â? ?Ã?Â Maybe that bird is in his hat?Ã?â? ?Ã?Â Watch here. Yes it’s Andy, you can check his page at our website under MacHEADS.